There are a lot of people out there who tout the benefits of memory foam mattresses. And, while memory foam mattresses are brilliant to a degree, there are also several health benefits to spring mattresses too. We are going to look at those on this page. One of the major benefits of spring mattresses is that they promote better air circulation around the body. There are a lot of people who get unusually hot when they sleep at night. Because there are open coils underneath the spring mattresses, the air is able to flow around a little bit easier. This is not a benefit that you are going to be able to get if you have a memory foam mattress because the memory foam is going to be tightly packed. In fact, memory foam mattresses are never going to be recommended if you live in a hot climate. They are just too uncomfortable to sleep on in conditions like that. If you purchase the right spring mattress, you will find that it does not hold bacteria and grime as well as other mattresses on the market. This is, in part, down to the fact that it promotes a cooler sleep. Bacteria can’t thrive in colder areas. Well, it can, but it is not going to be sticking around for long periods of time. In addition to this, you will find that the mattress will not retain the bacteria quite as well. It is also going to be a lot easier to clean. While memory foam can be difficult to clean in the depths of it, you do not need to worry about that with a spring mattress because there is no ‘foam’ for the bacteria to live. The only place the bacteria can thrive will be on the top of the mattress. This is something that you will easily be able to wipe clean. Yes, memory foam mattresses are going to provide a huge amount of support to the body, but they do not work well with everybody. In fact, a lot of people, particularly those suffering from severe pain, a report from FreeYourSpine.info indicate that mere memory foam mattresses do not provide them with the right support and this lead to a more painful sleep at night. If you find that a memory foam mattress is not comfortable for you, you absolutely should look into the idea of using a spring mattress. It may just be exactly what you need to have a more comfortable sleep at night! Remember; it is not just about the health benefits of the spring mattresses. There are a lot more benefits to having a spring mattress. Perhaps the biggest benefit is that they are going to be a lot cheaper than a memory foam mattress. In fact, you will likely be able to find a spring mattress of a high quality for the fraction of the price of a memory foam mattress down the lower end of the spectrum. This is fantastic. It is perfect for those who are working to a strict budget. Although, do make sure that you try out any mattress to ensure that it is going to be the perfect fit for you. Spring mattresses are also going to be a whole lot more durable. They may lost 3-4x as long as any memory foam mattress. 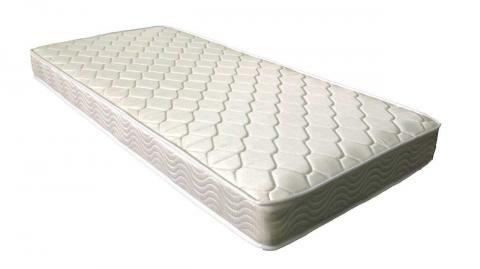 Remember; memory foam mattress will shape to your body and stay like that. This is probably not ideal over time when your body type changes. If you want the maximum amount of support for the lifespan of a mattress, then you will always want to go down the route of a spring mattress. You could easily get a good ten years out of one, whereas a memory foam mattress (far more expensive) may just be 3-4 years total lifespan. Remember; if you want to enjoy all these benefits, both health benefits and otherwise, then you will need to take the time to purchase a quality spring mattress. It is cheaper to buy a high quality one now than replace a cheap one a few years down the line!